Clearly the bandito who uttered that immortal line from Blazing Saddles didn’t have a blog. If he did, he’d be thrilled to have access to these free graphics, which include some pretty cool official-looking badges and seals. I’m a real advocate of lightening up when it comes to blogging, which is neither rocket science nor the cure for cancer (unless, of course, you actually blog about rocket science or cancer cures). But even if your subject matter is serious, it’s often still appropriate to have a little fun with your content. The following free Web graphics applications can help you interject a little of that fun into your blog. They allow you to choose your own text and colors to create badges and seals that can be used as icons, to illustrate a blog post or even as part of your blog design. The Says-It.com Official Badge Generator offers three badge styles: fire, police and sheriff. You can use any colors you can think of, because they have an intuitive HTML hex-code color selector for each component of the badge. If the term “HTML hex-code color selector” intimidates you, don’t worry. As you can see from the image to the right, their color selector only requires that you drag icons to the color you want. For me, playing with the colors was part of the fun; there’s just something humorous about a purple and teal sheriff’s badge. I played with this tool for hours because it’s like a coloring book for grown-ups. Except when I was done playing, I had a collection of cool usable Web graphics. The Official Seal Generator uses the same interface and tools as the Official Badge Generator, so once you’ve used one, you’ll know how to use the other. They’re oh-so-easy to use, so as a newly appointed member of the Web Police (and I have the badge to prove it), I command you to go and have fun with these free Web graphics tools! Update (5-21-08): New designs have been added, so there are now five badge and seven seal designs. You’d be surprised how punctuation affects us all! I used to live in Los Angeles, which has famously become a melting pot. I’ll leave it to more profound minds to discuss the ramifications and benefits of the blending of so many cultures in one place. I’ll just confine myself to the effect that blending has had on the language: I don’t like it and I’ll tell you why. It has nothing to do with xenophobia (an unreasonable fear or hatred of foreigners or of that which is foreign or strange). In fact, I loved having access to so many cultures. What bothered me was the effect that multiple converging languages had on signage. Petty? Probably. But I just couldn’t help extrapolate the effect signs written by non-English speakers — and left unchecked by sign company proofreaders — would have on future generations. So you can imagine my joy at finding a book devoted to this and other niggling grammatical worries. Not only does Eats, Shoots & Leaves author Lynn Truss share my concern over errors made on signage; sheâ€™s raised the correction of them to high art. The subtitle of the book is â€œThe Zero Tolerance Approach to Punctuationâ€ and she isnâ€™t kidding. If youâ€™ve ever cringed at a sign that read â€œBananaâ€™s for Saleâ€ (which of course should be the apostrophe-less â€œBananas for Sale”); youâ€™ll love this book. A panda walks into a restaurant, sits down and orders a sandwich. After he finishes eating, he pulls out a gun and shoots the waiter. He then stands up to leave. This just shows you how much trouble one lone comma can create. Had the comma after â€œeatsâ€ been omitted, the panda would have just stuck to eating shoots and leaves and there wouldnâ€™t have been any gunplay. Truss is so hopping mad about the abuse of language; she has stopped just short of advocating gunplay herself for language abusers. But she does it with such wit and insight; she makes you want to join in. In the first example, the poor hypothetical woman doesnâ€™t amount to much without a man around. In the second, the man is the one left wanting. The meaning is completely reversed simply by replacing the first comma with a colon and moving the second comma. A sign hangs in front of a large childrenâ€™s playground that reads â€œGiant Kidâ€™s Playground.â€ Truss points out that itâ€™s no wonder no one uses the playground. The misplaced apostrophe strikes fear in the hearts of neighborhood children by announcing the presence of the Giant Kid who owns the playground. Although Lynn Truss advocates for all of us to become soldiers in the punctuation war by packing correction fluid and stickers to both cover unwanted punctuation and introduce punctuation thatâ€™s missing; itâ€™s all done with tongue firmly planted in cheek. Thatâ€™s what makes this book so special. Like the proverbial spoonful of sugar that helps the medicine go down, Eats, Shoots & Leaves uses humor to distract us while poking us with a stick to jar us awake. You might also be interested in these holiday gifts for writers. 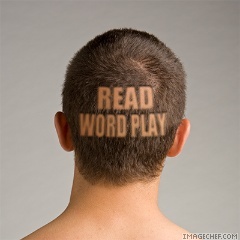 My apologies to any of my readers who were confused by the sudden appearance of health articles on WordPlay. I’ve been transferring my health articles blog from Blogger to self-hosted WordPress. 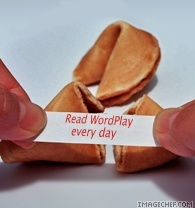 In doing so, I used WordPlay’s WordPress.com account to collect all the Blogger files and export them to the new blog. (I know it’s odd to use WordPress.com to transfer files from Blogger to WordPress.org, but it actually works.) 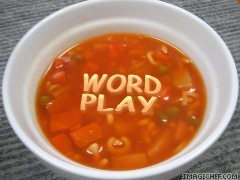 When I transferred the files, I inadvertently ended up with all my health-related posts on WordPlay. I deleted most of them, but apparently I missed a few and some of you probably saw them. 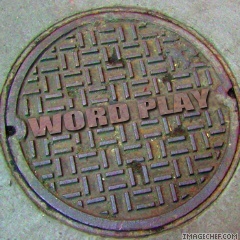 Having said all that, I guess this is a good time to announce that WordPlay also will be moving blog platforms and will have its permanent home at www.WordPlayBlog.com. I plan to redirect the URLs, but anyone who has migrated a blog would probably tell you that there can sometimes be glitches along the way. 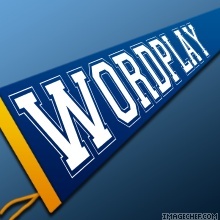 So I hope you’ll be patient if you experience any difficulties when you come to WordPlay while it goes through the transition. The good news is that being on WordPress.org will allow me to expand WordPlay in a way I couldn’t on WordPress.com, so the move will be well worth it. By the way, if you ever plan on migrating a blog from Blogger to WordPress.org, I highly recommend Blog Bloke’s Migrating-Redirecting Blogger to WordPress: The Complete Guide. Not only is the guide detailed and helpful, but Blog Bloke has been most generous about answering specific questions. I’d like to take this opportunity to publicly thank him for his help, because I literally wouldn’t have known where to begin without his guidance. Anyone who reads this blog knows I’m a collector of free clip art and free photos. That’s why I fell in love with the Image Chef online free images generator. It gives you the opportunity to turn Image Chef’s large selection of photos into your own personalized clip art, and even create animated video clips with the text of your choice. Image Chef’s slogan is “just add words and serve” and they aren’t kidding. If you can point a mouse and type a word or two, you can create amazing custom-looking graphics, perfect for blog posts or avatars. You can use Image Chef even if you don’t sign up for a free account, but you’ll have to save your images to your hard drive before you leave the site. (They only store images for account members.) But it’s worth signing up for, because members receive other free benefits. For example, you can e-mail your images or easily post them to MySpace, Hi5, Blogger, TypePad widgets and your Friendster profile. You can also use Image Chef photos on mobile phones for image-based chat, personalized wallpapers, video greetings and video ringtones. Thanks to FronTools for bringing Image Chef to my attention. About Avatars: What’s a Gravatar and Why Do I Need One? Ever wonder why avatars or icons show up on some blogs but not on others? If yours doesn’t show up, having a Gravatar can help. A Gravatar is a free globally recognized avatar, which is an 80Ã—80-pixel icon that travels with you and appears beside your name when you comment on Gravatar-enabled blogs. (Movable Type, WordPress, Blogger and LiveJournal are examples of Gravatar-enabled blog platforms.) Each Gravatar is keyed to an e-mail address, so you can have as many as you want. To make a particular Gravatar image show up when you make a comment on a blog, just enter the e-mail address associated to that image when you make a comment. Gravatars are more flexible than regular avatars, because you can have more than one. If you have multiple blogs, all you need is a different e-mail address for each and you can have as many Gravatars as you need. And you can even be a little naughty if you want, because there’s an MPAA-style ratings system. This allows you to have an adult version to use on some blogs and Disney-fied versions for others. Webmasters have the ability to control which Gravatars are displayed on their sites, so they can choose whether they want their readers to see the adult avatars. But just in case a Webmaster hasn’t enabled this feature, make sure you remember which e-mail address is attached to each image before you comment, so you don’t end up ruffling feathers in the blogosphere! Need images for your Gravatars? Be sure to visit our Avatar Central, which includes links to free clip art, photos and image modification applications. A lot of people come to WordPlay looking for resources to create avatars, so I thought it would be helpful to aggregate all our tips and tools for making free avatars all in one place. This post contains everything you need to make an icon that’s uniquely yours: tips for creating a compelling avatar, sources for free clip art and free photos, and free image modification applications. The WordPlay icon Hall of Fame gives examples of good avatars, as well as explanations of why each attracted me to click on it. Sometimes the best icon isn’t fancy; it’s one that conveys in one glance the image you want to project. Whatâ€™s a Gravatar? Itâ€™s a globally recognized avatar that helps you make a lasting impression when you comment on blogs. This free PDF e-book contains links to literally thousands of free contemporary and vintage images you can use for avatars. It’s produced by our sister site, VintageHolidayCrafts.com, so we can vouch for the quality of the images! Image Chefâ€™s slogan is â€œjust add words and serveâ€ and they arenâ€™t kidding. If you can point a mouse and type a word or two, you can create amazing custom-looking graphics, perfect for blog posts or avatars. Picnik lets you create professional quality clip art! Thereâ€™s no software to download and itâ€™s easy to use. Just follow the easy instructions and youâ€™ll be creating your own cool clip art in no time. The Stock.Xchng site is searchable, easy to use and the selection of free photos is great. There are, however, a few very minor restrictions, which are covered in our review. I’ve scoured the Web to bring you a collection of free clip art sites that don’t make you wade through page after page of affiliate ads and pop-ups to actually get to the art. Itâ€™s easy to create stunning images with the free BeFunky online application. All you need is a photo or a clip art image and a few clicks to create one-of-a-kind avatars. The free GIFWorks online allows you to create free images and have a blast while you do it. 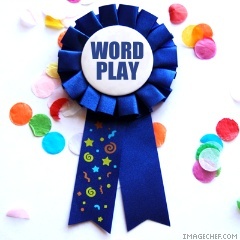 These official-looking badges and seals help you interject a little fun into your blog or avatar. 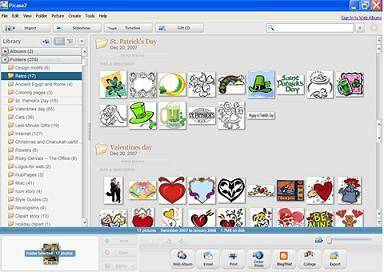 Now that you’re collecting all these cool images, the free Picasa software will let you organize them. It also lets you take them to the next level with their image modification tools, which are different than those offered by BeFunky or GIFWorks. I don’t know about you, but it seems like no matter how organized I am about filing my free clip art and photos on my computer; the more of it I gather, the harder it is to find things. So I was thrilled when I discovered Picasa. Why is it so cool? For starters, after you load the Picasa free software, it goes to work capturing every image on your hard drive. It doesn’t move your images; it simply records where they are and displays them in one scrolling window. So a photo I stored on my computer three years ago in a client’s folder and completely forgot suddenly became visible to me. I discovered image after image I didn’t even know was there. And because Picasa displays the folder name where the image is located, you can go right to it on your hard drive. Picasa displays all your images in one long, scrolling screen. Once Picasa has located your photos, it allows you to organize them by deleting or dragging and dropping to another folder. And if you want to get fancy, there are a lot of options. When you click on an image, Picasa brings up an interface that lets you modify it in a number of ways. In addition to cropping, straightening, fixing red eye and more basic functions, it also has an effects screen that creates just about any look you want by just selecting the corresponding icon. You can modify your image to be black and white or sepia-tone, or you can change the focus, saturation and tint, put in a graded background and a lot more. This is a great feature for people who want to modify images but don’t have more complex and expensive image modification software. Picasa also has another fun feature that creates custom-looking collages (see the top of this page), a contact sheet or a picture grid of all the images you select. Additionally, it has a multi-exposure feature that layers one image over another. This could come in handy when layering a logo or an image with text in it over a photograph or clip art. And when you’re done playing with the images, just choose one of the buttons at the bottom of the screen to make a Web album, e-mail or upload an image to Blogger, order prints or export. If you’re wondering why you can upload to Blogger and not WordPress, that’s because, like Blogger, Picasa is yet another property of the great Google empire. But if you’re angry at Google over AdSense or anything else, don’t let that stop you from trying this amazing free software. You won’t be sorry. Click here to download Picasa. I found two more free clip art sources you’re going to love. The first provides high-quality free graphics. The other charges a fee, but it’s quite affordable. This site doesnâ€™t have a huge inventory, but what they have is good. You do, however, have to provide a link to them in return for using their free clip art. (Read their clip art usage rights for details.) They provide art in two formats: .wmf and .gif. Use the .wmf format for printing and use the .gif image for blogs, Web sites, e-mail newsletters, etc. This site is so affordable, itâ€™s almost free. You get unlimited access to one million clip art images, animations, Web graphics, fonts and photos for only $9.95 per month. (No ongoing contract required.) They also have a $59.95 plan, which gives you a full year of downloads. Need other resources for free images? 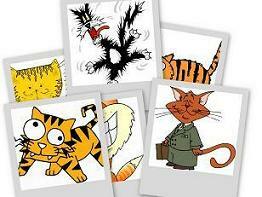 If you need more images, visit our full collection of free clip art resources. Also, please see our free photography and free cartoons pages. And if you want to modify our free images or create avatars with them, see our posts about the free BeFunkyand GIFWorks online tools. BeFunky-fy Your Blog With BeFunky Free Graphics! Although content really is king, it doesn’t hurt to have your blog look good too. In fact, it can make all the difference in the world when it comes to making readers feel at home. But if you came to blogging through the wordsmith door and you’re not a designer, you might need a little help when it comes to creating images. WordPlay already offers resources for free photos, free clip art and cartoons, but if you’d really like your blog to stand out, the free BeFunky Web application can help you create free images that are uniquely yours — even if you have no graphics experience at all. You can use these free images in your blog header, in posts and, in some cases for your avatar (depending on the resolution in the image). 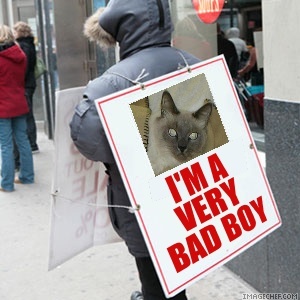 BeFunky allows you to create strange and wonderful graphics. 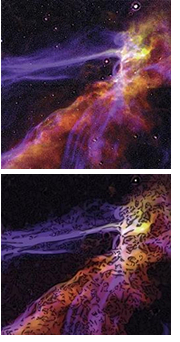 They feature two types of image modification applications: a Uvatar maker and a Cartoonizer. An example of a BeFunky uvatar is shown above. As you can see, the application allowed me to capture the moment when Woody Allen joined me at my palace while I was relaxing in my Catwoman outfit. I also made uvatars that chronicled my visits with other celebrities and a furry animal friend, which you can see at the bottom of this post. As fun as the Uvatar app is to play with, the Cartoonizer would probably have even greater use if you’re trying to create images for your blog. All you need is a good image to start with and the Cartoonizer does the rest. Just upload your photo or clip art and click the SKETCH button. This creates a black and white sketch of your photo. You can adjust the settings on this feature, based on the image you’ve uploaded. Once the sketch is created, click the COLOR button, which takes the colors from your original photo and inserts them behind your sketch. To the left you can see an original photo of some kind of wild space happening and how it turned out after being run through the Cartoonizer. I also used the same process with a piece of clip art (below) to see how that would work. I suspect this had good results because I used clip art that was originally from a painting and had a lot of detail. But you never know how an image will turn out, so it’s worth a try, even if you only have low-resolution clip art. As you can see in the sample above with the red curtain, the Cartoonizer allows you to add a border to your image. Many of their borders are geared toward use in e-mail cards, but they can also be used for blog images. The Cartoonizer also gives the ability to warp an image, which can create some pretty strange effects. So, the next time you want to create an image that’s truly yours, hop on over to BeFunky. You’ll probably have a lot of fun and generate some interesting images at the same time. 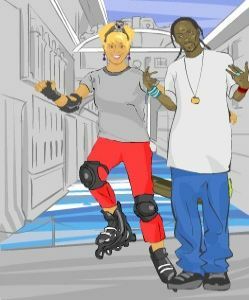 I tried to convince Snoop Dogg to go roller-blading with me near the canals in Venice, but he told me that tiny wheels scare him. He also was a little leery of the ferret on my head. Here I am with Halle Berry, trying on dresses to wear to the Oscars. We both feel wearing fur isn’t cool, but that doesn’t apply to live animals, so the ferret stays. Hugh Grant has a reputation as a ladies man, so I felt it would be best to supplement the protection provided by the ferret and wear a black shroud on our date at the aquarium.